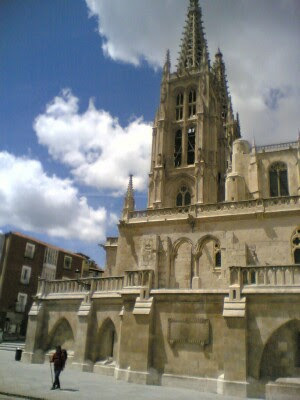 Burgos is one of the 3 big cities along the camino. 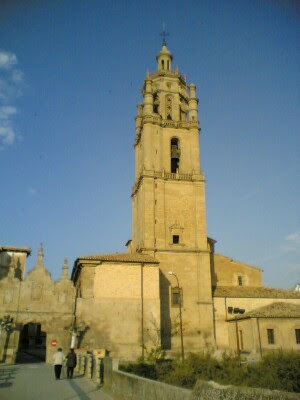 The other 2 are Logroño and León. You can get really lost as I did walking into the city. 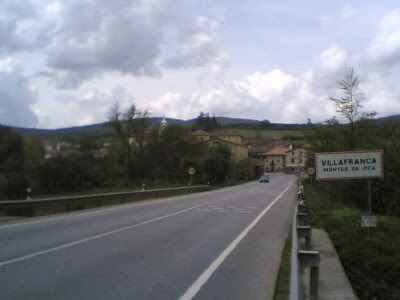 With all the distraction and noise, it was easy to miss the yellow arrow marker in this built-up area than say a small town. 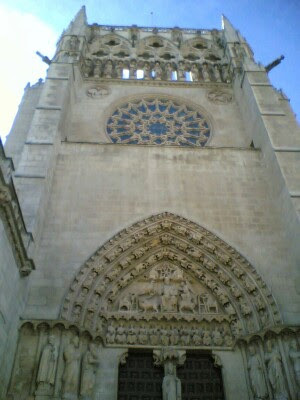 Finally, at the famous catheral in Burgos. 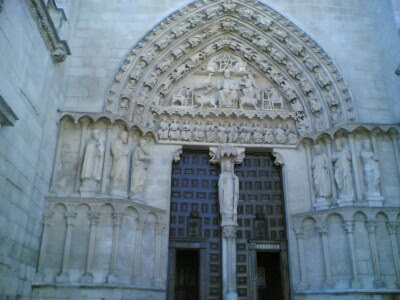 Exit door of the catheral, 1 euro for pilgrims and at least 5 times more for tourists to enter the cathedral. 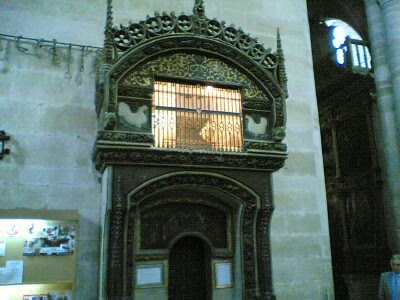 One of the numerous altars inside. 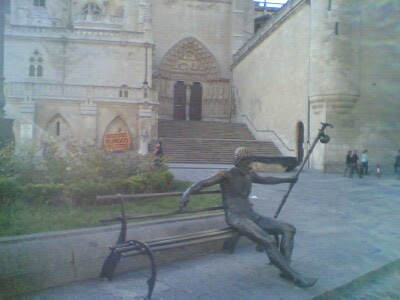 A metal pilgrim statue at the park bench. 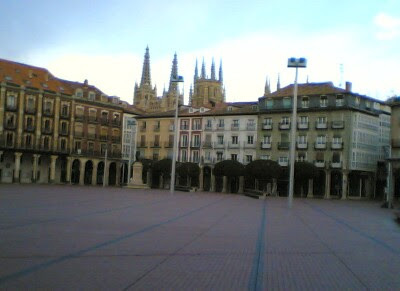 From Plaza Mayor, close to where I stayed for that night. 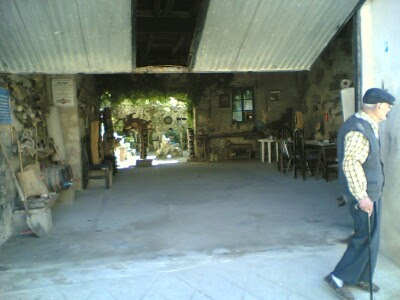 In Hostal Hidalgo. 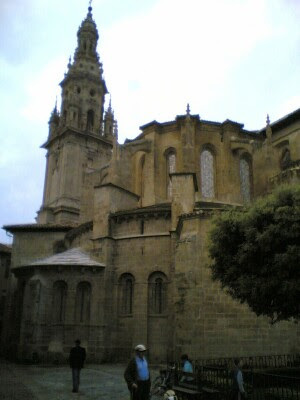 The only time during the camino I did not stay in an albergue as the only available albergue is a half hour's walk away from the cathedral. 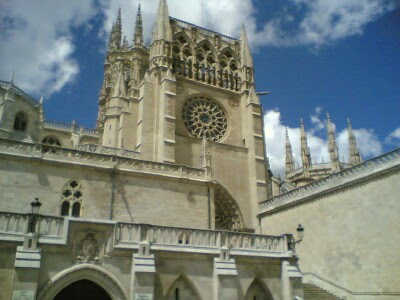 Many thanks to peregrina Isabella for bringing me here. 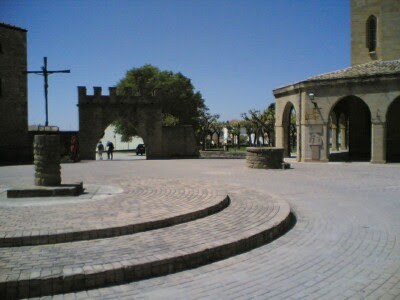 The weather was cold when I arrived at San Juan de Ortega. The place is a bit disproportionate. 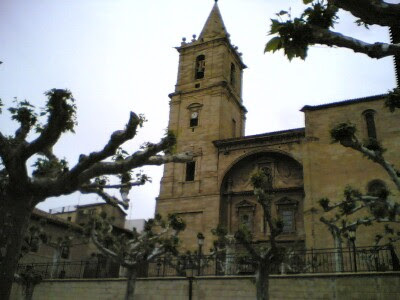 Big church but no town other than a row of houses alongside the church. 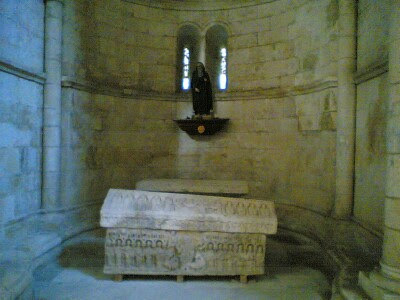 Many old artifacts inside the church. 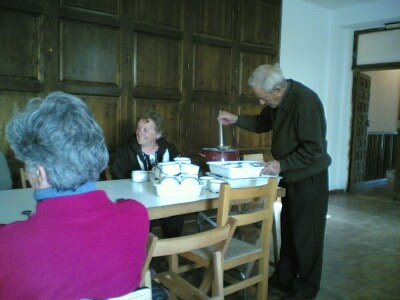 Some soup (sopa de Ajo) served by Father Jose Maria after mass. 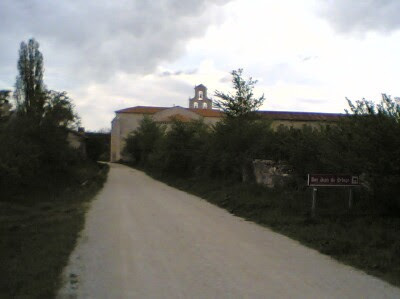 I heard from a friend who told me he had a full meal at San Juan de Ortega from Father Jose Maria, but that was 16 years ago when there were less people walking the camino. 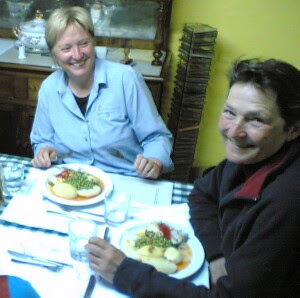 Still, this is one of the special moments in my camino sharing the soup with other pilgrims. Ah... perfect for a cold day. 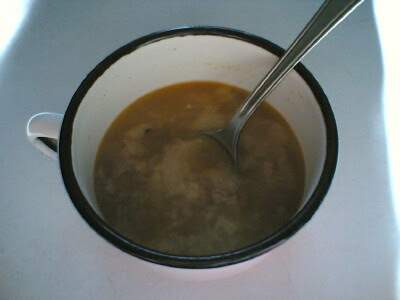 You can find the soup recipe here. 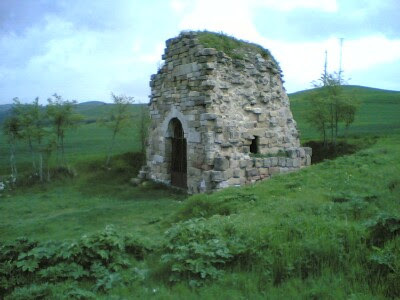 The ruins of Absides de Felices before Villafranca Montes de Oca. 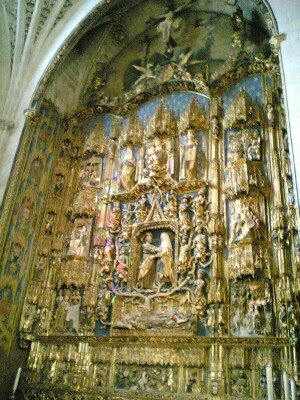 The altar seems to be the only thing that survived. 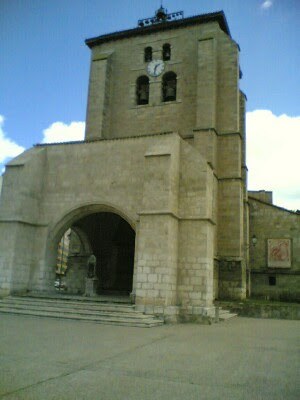 Church with a strange looking spiral. 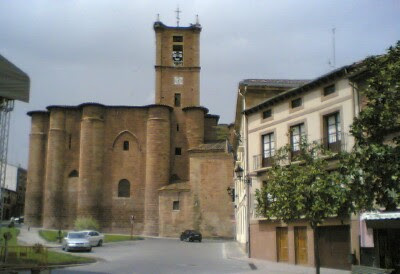 The name Nájera has an arabic origin. 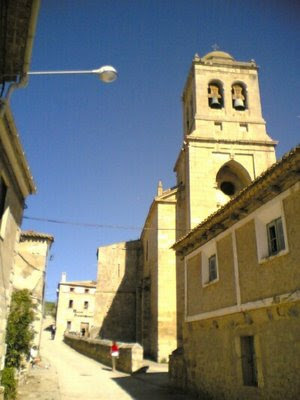 It is small city set at the bottom of many layered rocky cliffs. 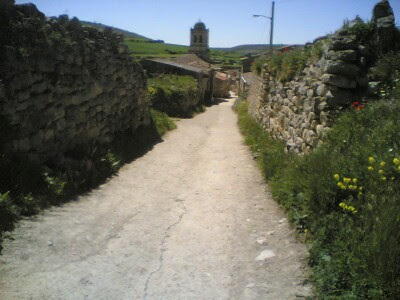 A stop in the Camino which I did not take due to my short walk from Navarrete. 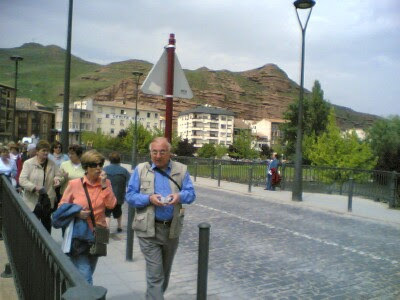 A local tour group along the bridge to the old city. 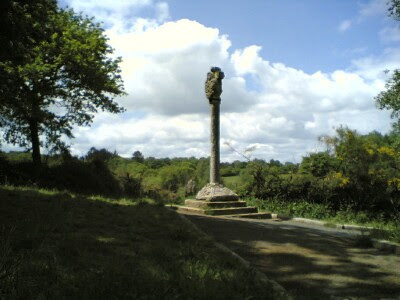 Another view from the bridge. A cliff on the other side of the city. 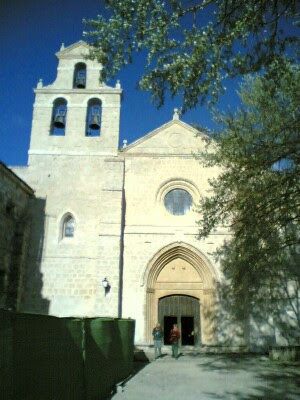 Church of Santa Maria la Real. 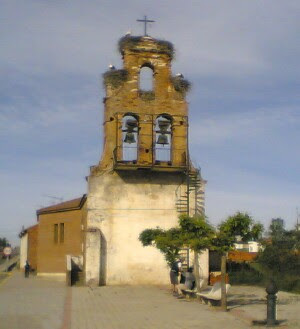 Most of the churches are closed during the day. It must have been very beautiful inside. 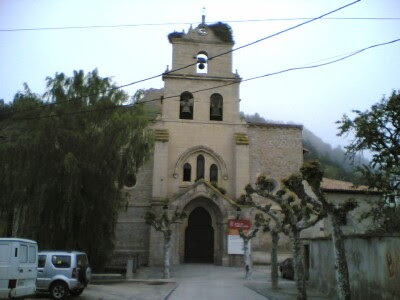 Navarrete is not a regular stop on the camino. 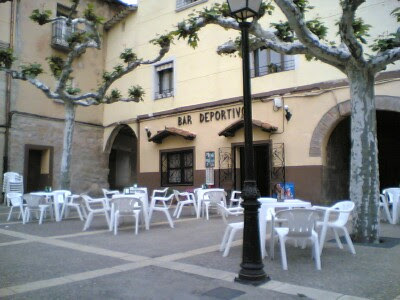 I had to stop there after walking just 12 km from Logroño to rest my mangled feet. 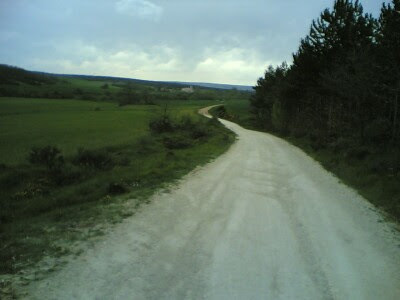 In terms of distance, it was the shortest that I had walked for my entire camino. It was a good decision. 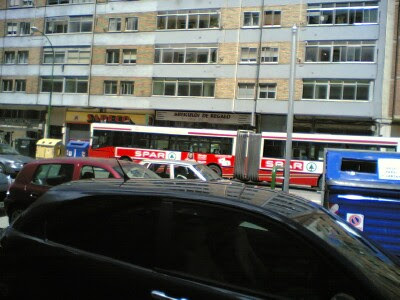 In the following days, I was back to normal. My feet still hurts, but it was manageable. 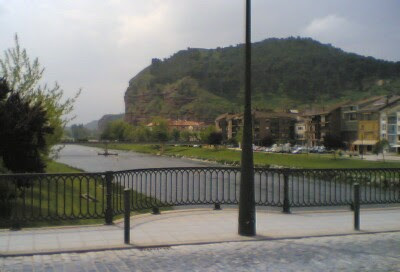 This town marks the end of the physical ordeal that I went through on this first week of my camino. A couple of Italian pilgrims taking a break. 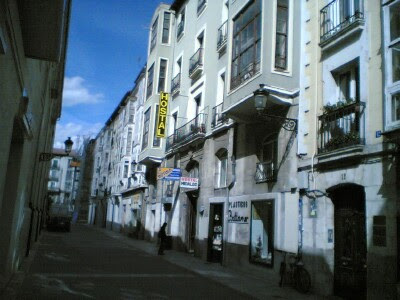 The restaurant where I had the best pasta in my entire camino. The secret I think is in the tomato sauce. As they say, "the secret is always in the sauce". 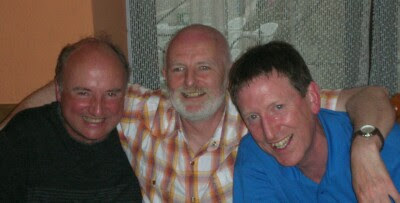 The Irish Nighthawks (same blokes that walked up Sierra del Perdón at night) certainly think the food here is excellent. 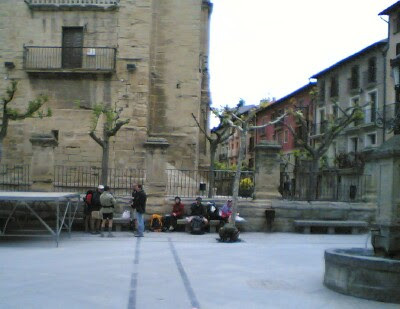 They stopped their walk here in Navarerete and will resume their camino next year from here. "We are one another's angels"
I had a really bad time physically during the first week and during the last few days of my camino. In the beginning, it was the blisters. Only much later did I realized that in addition to breaking the blisters with a needle, I have to leave the thread inside so that later breakouts has an exit for the liquid to escape. I only wished I had followed Rosalinda's tips earlier. It's too late for me since my boots were not broken in and they were not a size bigger to allow the expansion of my feet. 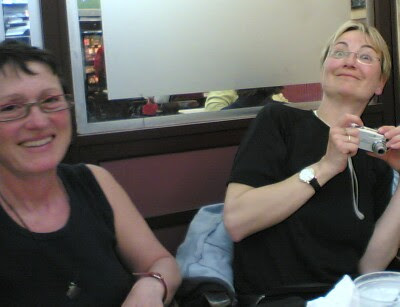 The 2 French angels who helped me dressed my badly blistered foot. 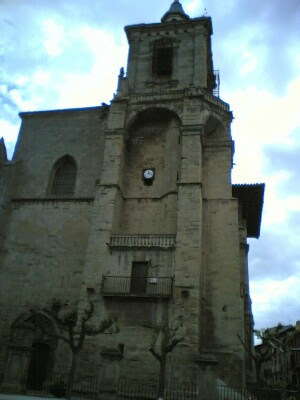 A few days before Santiago, my ankles started to swell and I suspect that I had tendilitis. Since I was so closed to the end, I endured the pain for the last 50 kms of my journey. 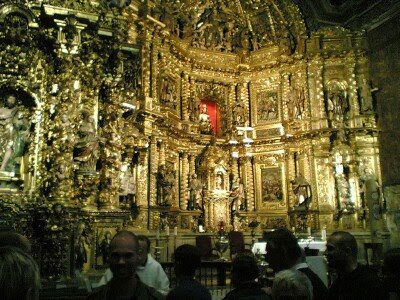 Many pilgrims, seeing how much I was suffering, suggest that I should stop. There is no way I was going to stop walking this close to Santiago. I just asked them what they would they do if they were me. As we are all pilgrims, they understood immediately. The 2 German angels have done the same for my swollen ankles on my last night before Santiago. I want to thank the angels for all that they have done for me. Thank you! 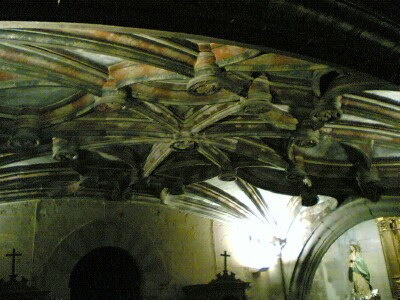 OK, I know that angels are supposed to be androgynous, but I swear they were ladies and they spoke French (and German)! 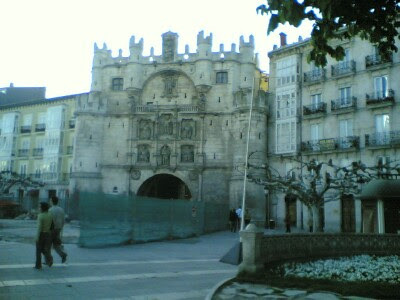 One of my favorite town, Los Arcos is another town with a close lineage with the camino. 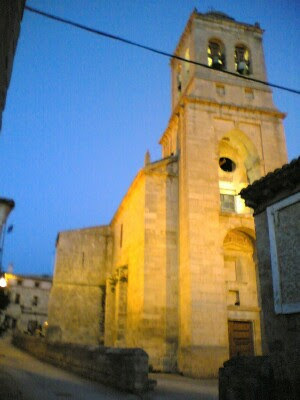 Church taken from the albergue. Liber Sancti Iacobi had mentioned it many times. 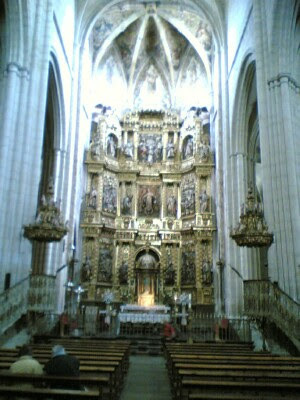 After mass, the pilgrims are told to move forward by the priest. Besides being blessed by the priest, we are told to do 4 things. 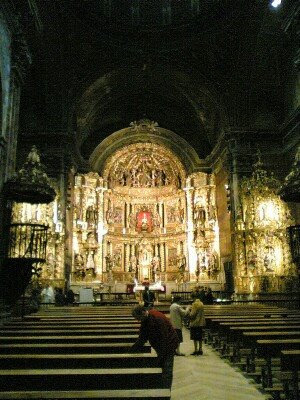 Beautiful lighting and architecture inside the church. 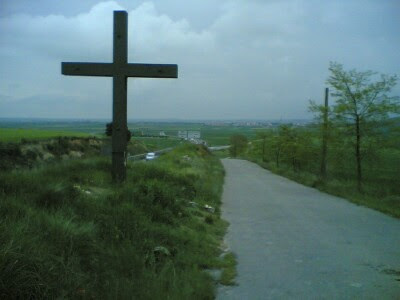 Crosses are everywhere along the camino. They come in all shapes and sizes. 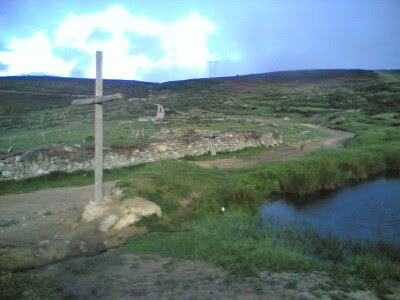 Picking up a rock along the way and leaving it beside a cross is becoming a tradition. This practice dates back to the pagan times where one does to appease the spirit along one's journey. 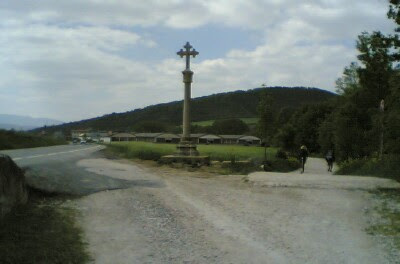 A typical cross along the camino. 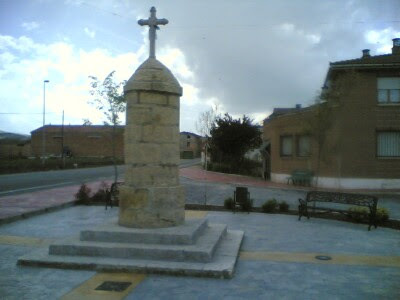 A metal cross after St. Domingo de la Calzada. 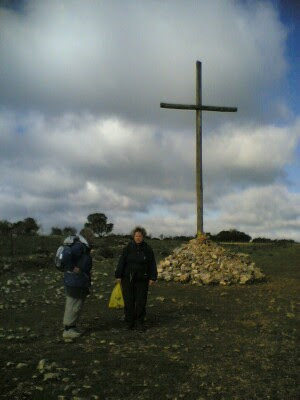 A simple wooden cross with 2 Danish pilgrims. 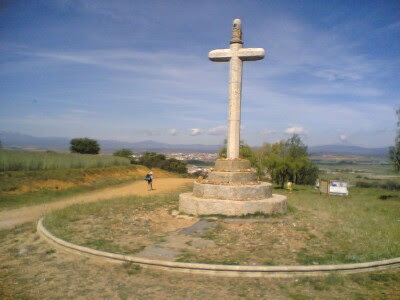 The big cross on top of the hill before the city of Astorga (background). 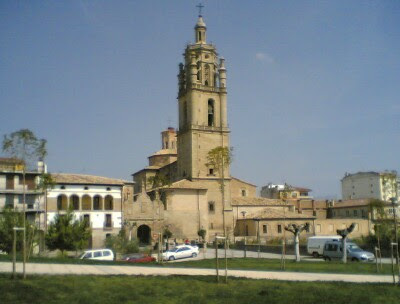 On the way to Foncebadón. 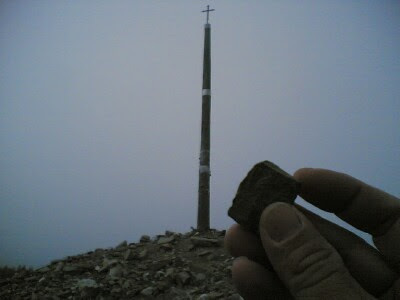 One famous cross (Cruz del Ferro) after Foncebadón, is the place where many pilgrims carried a rock from their own country to lay it beside the cross. 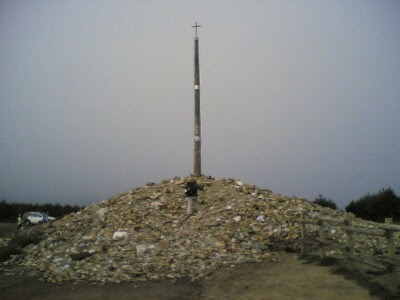 This being the highest point on the camino (1509 meters) certainly helped in it's popularity. 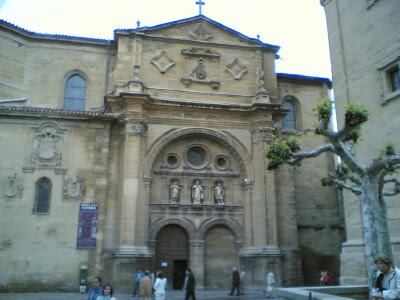 I read about it before my camino. Here's my peeble from Singapore. 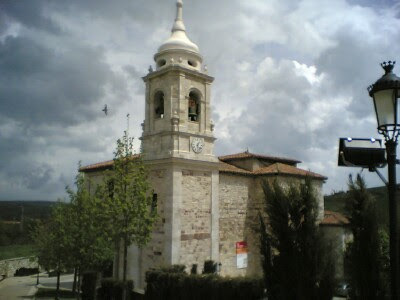 In Sarria. The city below. 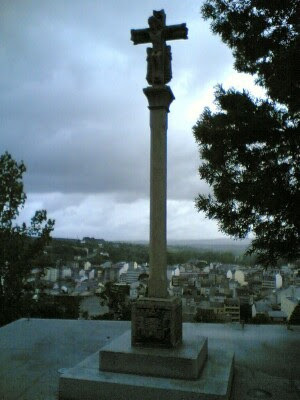 Many celtic looking crosses in Galicia.